Spyderco had a run away success in their original Brad Southard flipper, so it makes sense that they would try to keep a good thing going by working with him again, and henceforth came the Positron. This is a smaller flipper with a CMP-S30V blade right around 3" in length. The scales are contoured carbon fiber housing a liner lock for secure and safe usage. 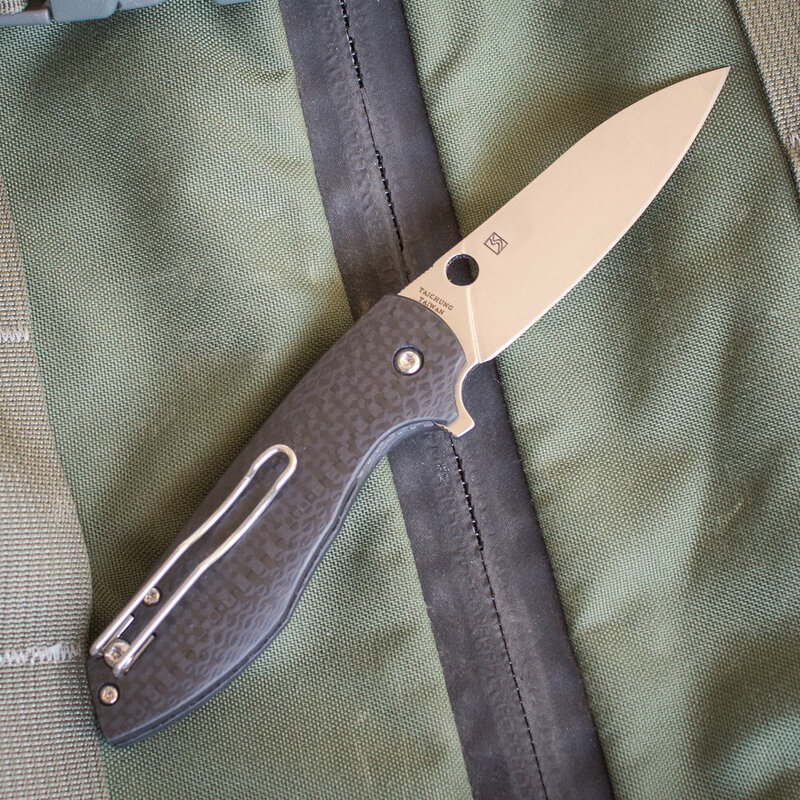 The Positron uses ball bearing washers to provide smooth operation and the common wire pocket clip allows it to ride low and inconspicuously in the pocket. I find the liner lock rides a little low inside the scales, making it difficult to access and release; I would like to see a bit of a relief cut in the off side scale to allow better access. I also feel the contour on the scales is just too fat and round. 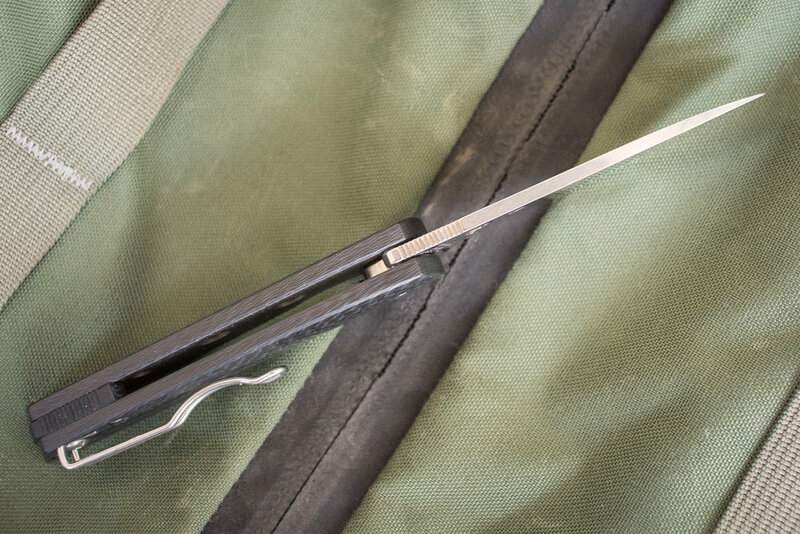 Sure, this gives the knife a comfortable grip, but a small knife like this will not generally see extended cutting usage, so I would have preferred a more flat and slim profile on the scales to allow it to be flatter in the pocket. Spyderco recently announced that they were discontinuing this model, so now might be the time to try and snag one if you've had your eye on it!